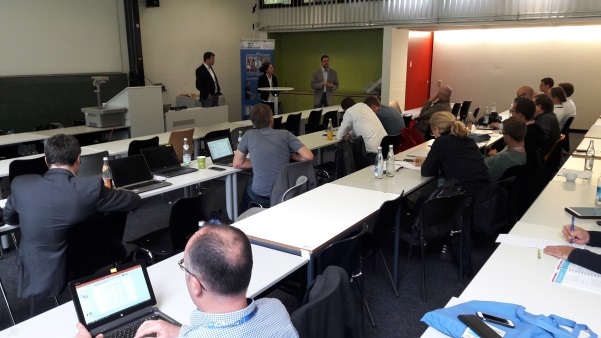 The MuC Conference took place in Regensburg, Germany, in September 10th – 13th, 2017. This symposium combines Human-Computer-Interaction and Usability Professionals and encourages people from science as well as from practice to discuss the current state of the art. 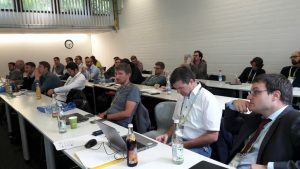 The workshop “Smart Factory: Informationssysteme für die Zusammenarbeit der Zukunft” was organized in cooperation with the EU-funded project Semi40 – Power Conductor and Electronics Manufacturing 4.0. The submitted research paper “Evaluating worker-centered smart interventions on the shop floor” (written by Marlene Schafler, Lea Hannola, Francisco José Lacueva-Pérez, Matjaž Milfelner, Melanie Steinhüser, Miguel Angel Gracia) was held in the second workshop slot by Marlene Schafler, senior researcher in the field of Smart Production & Human-Centered Solutions at Virtual Vehicle. 27 participants were involved while demonstrating the refined evaluation strategy and first results that were obtained by using it in a use case of the project. 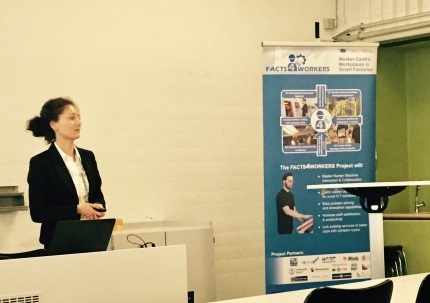 Together with Dr. Peter Heinrich, who presented the digital transformation in manufacturing – considering the industrial challenges of the FACTS4WORKERS software solution – there was a lively discussion. E.g. By providing the necessary information in the right place, at the right time there should be a focus not only on blue collar workers but also on white collar workers in order to optimize work preparation. And with interpreting our evaluation results regarding Job Satisfaction we should consider staff turnovers and motivational factors.